Size: 7.2 x 10.6 inches. Published in Cologne in 1600 this map is from 'Geographisch Handtbuch' with German text on the verso. 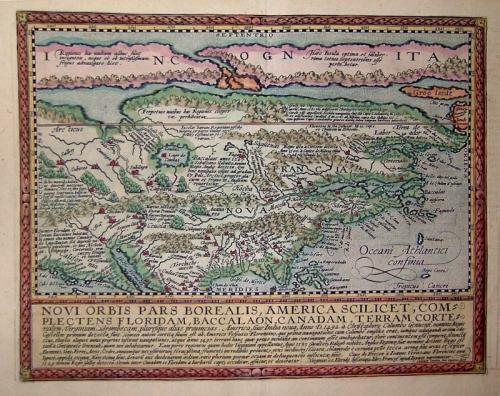 Quad's map of North America is derived from De Jode and is a beautiful example of the cartographer's art.